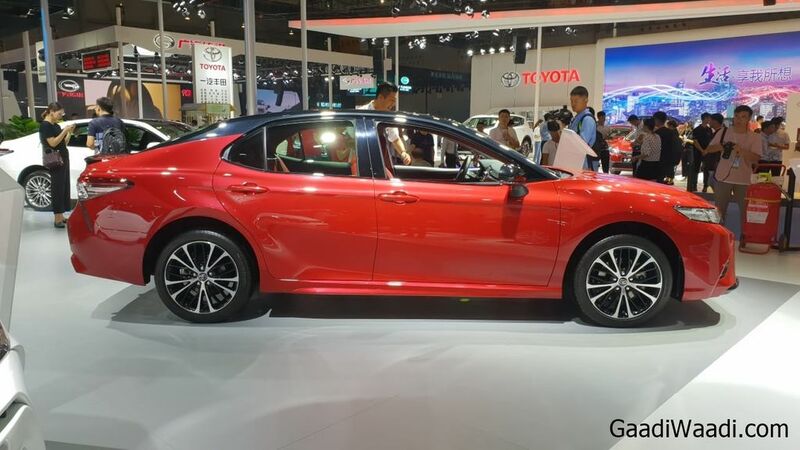 Toyota showcased 8th generation Camry at 2018 Chengdu Motor Show. 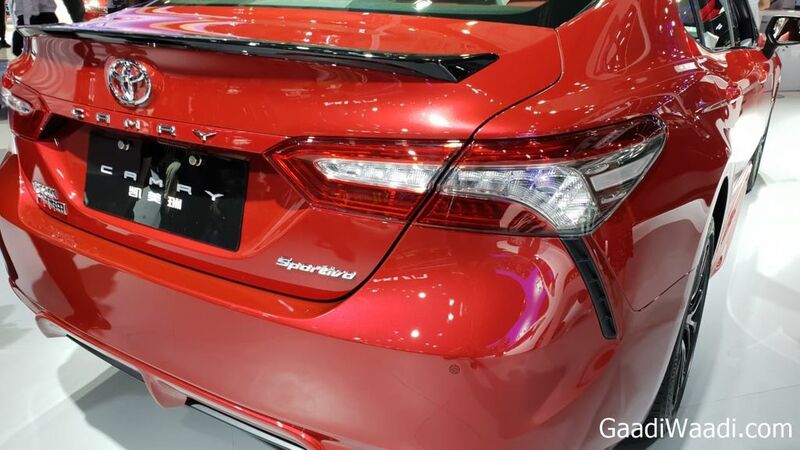 The Japanese manufacturer has given a bold new design language to the 8th-gen Toyota Camry and the executive sedan looks sporty. 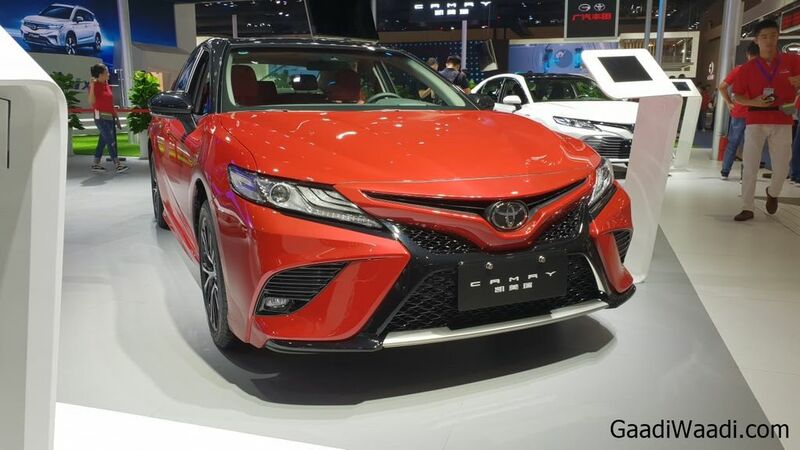 Toyota previewed China spec Camry last year with Fengchao Fun concept. 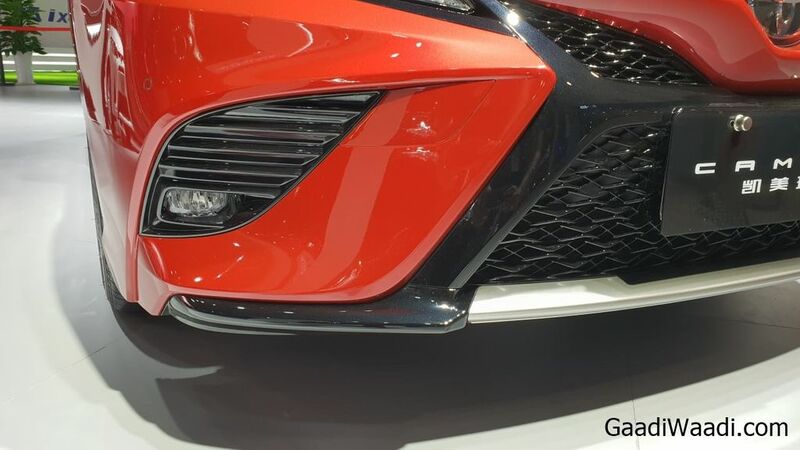 The front gets signature grille of Toyota along with seven-slat air-dam grille and swept back projector headlamps with LED DRLs. 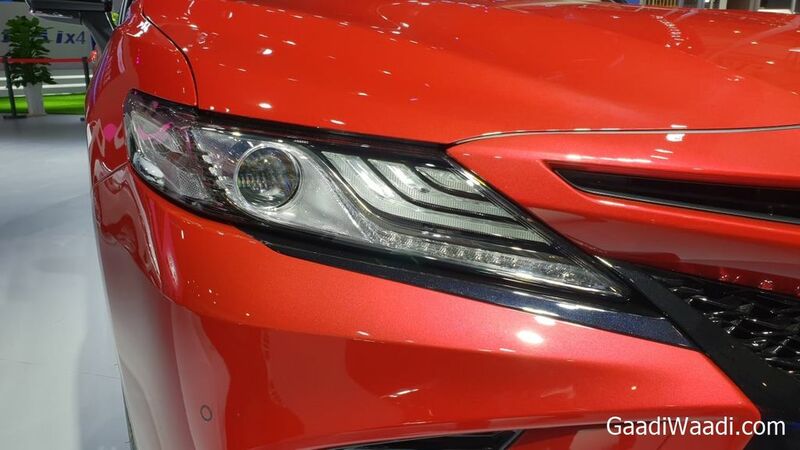 The ASEAN spec Camry comes with fog lamps, but US spec model doesn’t get it. The mirrors are placed on the door instead of A-pillar as it reduces drag. 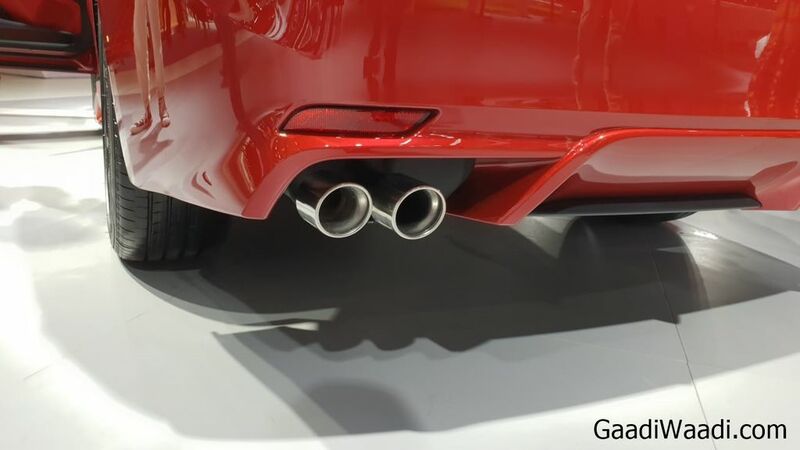 The side profile’s design is simple, but the company has given a new shoulder line, which starts from front wheel arches and ends just behind the rear door. 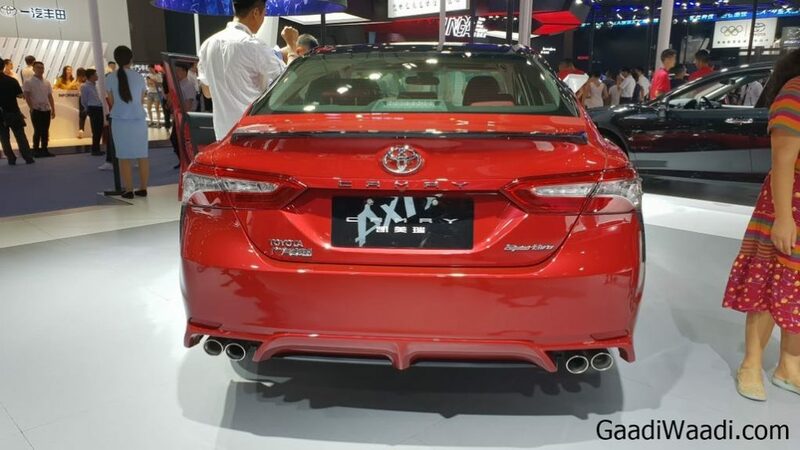 The Camry is based on Toyota New Global Architecture (TNGA) platform and the company has increased body stiffness. 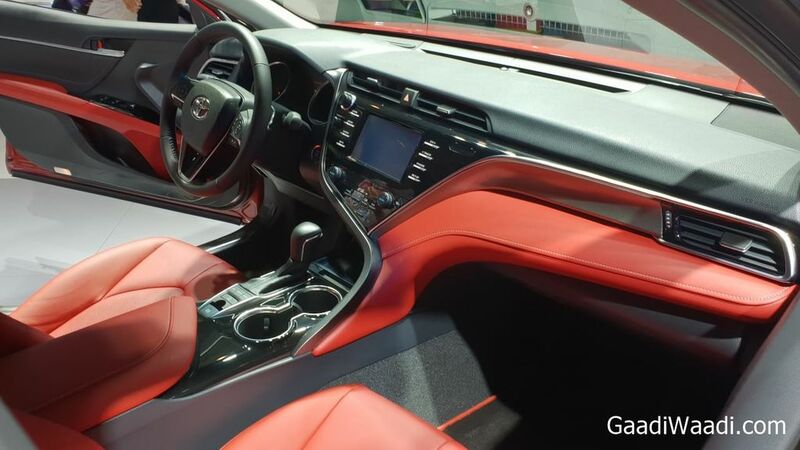 Toyota has carried over the sporty design theme the o interior, but the company has increased wood inserts on the dashboard for a premium feel. The centre console gets new Entune 3.0 infotainment system and it comes with features like vehicle finder, vehicle status notifications, guest driver monitor, WiFi hotspot, door unlock capability and more. Toyota is still hesitant about Android Auto and Apple CarPlay as they are not available in Camry. The 8th generation model comes with lots of advanced safety features like Dynamic Radar Cruise Control, Lane Departure Alert with Steering Assist, Rear Cross Traffic Braking, Pre-Collision System with Pedestrian Detection. The hybrid model is powered by a 2.5 L petrol engine producing 178 PS and 221 Nm of torque, the electric motor produces 120 PS and 202 Nm. The power is sent to front wheels via a CVT automatic gearbox. Toyota will officially launch a new Camry next year in India.